Gentlemen Bankers investigates the social and economic circles of one of America’s most renowned and influential financiers to uncover how the Morgan family’s power and prestige stemmed from its unique position within a network of local and international relationships. At the turn of the twentieth century, private banking was a personal enterprise in which business relationships were a statement of identity and reputation. In an era when ethnic and religious differences were pronounced and anti-Semitism was prevalent, Anglo-American and German-Jewish elite bankers lived in their respective cordoned communities, seldom interacting with one another outside the business realm. Ironically, the tacit agreement to maintain separate social spheres made it easier to cooperate in purely financial matters on Wall Street. But as Susie Pak demonstrates, the Morgans’ exceptional relationship with the German-Jewish investment bank Kuhn, Loeb & Co., their strongest competitor and also an important collaborator, was entangled in ways that went far beyond the pursuit of mutual profitability. 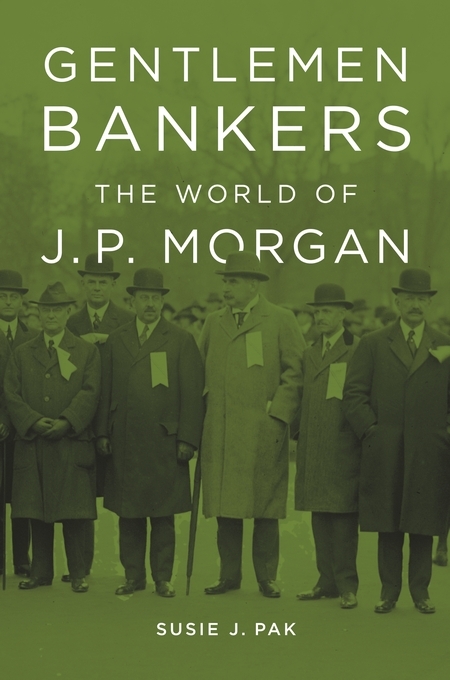 Delving into the archives of many Morgan partners and legacies, Gentlemen Bankers draws on never-before published letters and testimony to tell a closely focused story of how economic and political interests intersected with personal rivalries and friendships among the Wall Street aristocracy during the first half of the twentieth century.